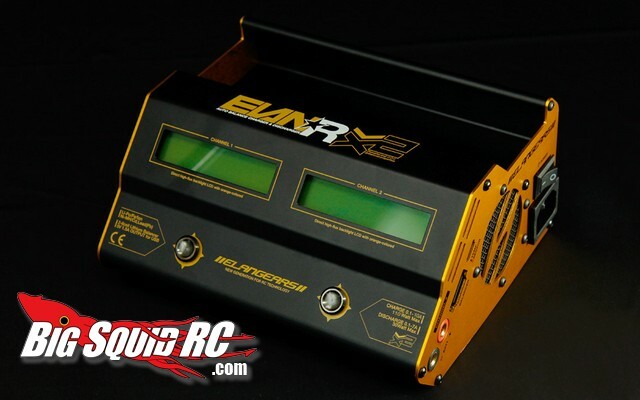 Elangears Dual R-X2 AC/DC Battery Charger « Big Squid RC – RC Car and Truck News, Reviews, Videos, and More! The new entries coming into the battery charger wars never seem to end, and one of the latest is an offering from Elangears. Elangears is quite popular in Europe, and their R-X2 Dual AC/DC Charger should be a hit. The R-X2 does up to 15 amps on one channel and 10 amps on the other, and it features a 7 amp maximum discharge rate. The built in power supply keeps you from having to lug around an extra piece of equipment, and its built in USB port comes in handy for charging mobile devices. Hit up the official Elangears Website for more information. Looking for more battery charger news? Check THIS link right here on BigSquidRC.